Modern farming practices employ improved varieties and intensive practices on specialised farms and landscapes to maximise yields. Agricultural production accelerated dramatically during the ‘Green Revolution’ of the 1970s, and farmers were urged to mechanise and use chemical fertilisers and pesticides to intensify their production. While productivity increased at an astonishing rate, such farming systems are often not sustainable, are vulnerable to climate change, and put the ecosystems they are dependent on at risk. In contrast, an alternative approach places emphasis on ecological intensification, which allows ecosystem services to flourish to decrease dependence on inputs. In this approach, value is placed on a system’s ability to efficiently cycle and use resources, foster healthy soils, and contribute to clean water. The field of agroecology aims to understand the complex ecological processes at play in an agroecosystem and apply this knowledge to the design and management of production systems. In essence, agroecology helps to develop management systems that function more like the ecosystem that agriculture replaced. 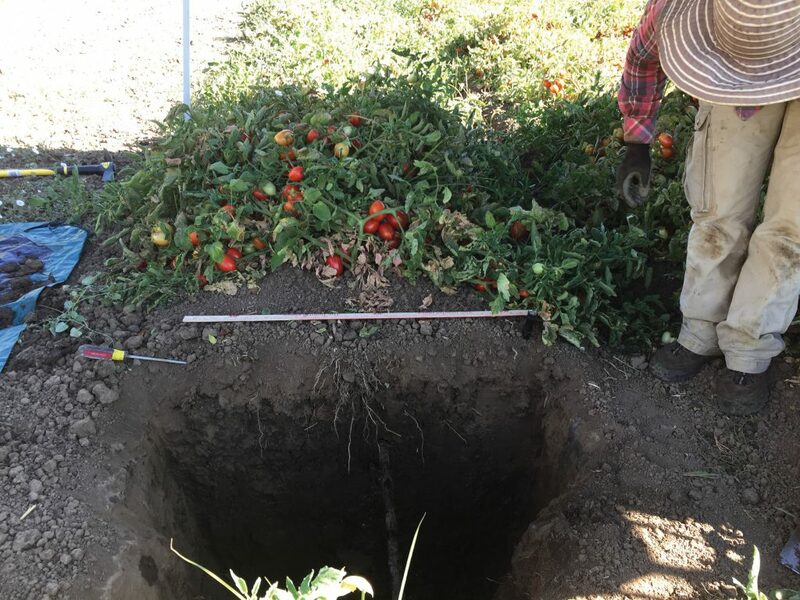 Dr Amélie Gaudin and her team, in the Department of Plant Sciences at the University of California, Davis use agroecological principles to develop management strategies that intensify ecological processes to decrease input needs and decrease the environmental footprint of agriculture. Focusing on whole systems rather than on specific crops, and integrating outreach and education activities, Dr Gaudin brings together a pioneering partnership of growers, agronomists, breeders and industry stakeholders. This comprehensive approach to management offers exciting new opportunities to build both the sustainability and resilience of agroecosystems. One main research theme explored by Dr Gaudin and her team is the impact of diversification strategies and healthier soils on resilience of agroecosystems to stress. These stressors can be both biotic (relating to or resulting from living organisms, such as insects) or abiotic (physical rather than biological, such as drought). By placing emphasis on soil health, Dr Gaudin’s approach takes into account a soil’s capacity to function as a vital living ecosystem. Indeed, increasing an agroecosystem’s diversity is a key strategy for coping and adapting to climate change. Greater diversity, especially the use of complex crop rotations over time (temporal diversity) is thought to lead to more stable ecosystems, thanks to functional redundancies and improved conservation and access to soil resources by crops. Dr Gaudin and her colleagues set out to test this hypothesis across various extremely valuable agroecosystems, from temperate rainfed maize of the Midwest to irrigated semi-arid tomato production systems of California. Their aim is also to better understand the underlying mechanisms to inform management and enhance sustainable food production under abiotic stresses. The research team first undertook retrospective analysis of historical data from a 31-year long-term rotation and tillage trial to explore the impact of temporal diversity (rotation) and reduced disturbance (tillage) on resilience of maize and soybean systems in the northern Corn Belt, Ontario, Canada. This region was once prairie, but over the past 30 years has experienced large decreases in agroecosystem diversity – small grain cereals have been progressively replaced by rows of soybeans and corn, which now dominate the landscape. Dr Gaudin’s study is the first to quantify the impact of management practices on yield stability, particularly when exposed to extreme weather events (drought or flooding). Dr Gaudin and her team validated the hypothesis that crop yield stability significantly increases when corn and soybean are integrated into more diverse rotations. They found that introducing small grains into short corn-soybean rotation provided significant benefits on long-term soybean yields. Crop diversification increased the likelihood of harnessing favourable growing conditions, and decreased the risk of crop failure. In hot and dry years, diversification of corn-soybean rotations and reduced tillage increased yields by 7% (for corn) and 22% (for soybean). Exploring the underlying mechanisms, Dr Gaudin gives compelling evidence that complex rotations and reduced disturbance have a synergistic effect – where the collective effect provides greater benefit than separate effects combined. In a similar study on irrigated tomato crops, Dr Gaudin and her colleagues are now exploring the ways in which more diversified systems show significant yield resilience over time and when lower levels of irrigation are applied. Such an approach takes advantage of better soil health to conserve costly and finite water supplies. The team’s recent findings show that rotation complexity provides a systems approach to help adapt agroecosystems to changes in crop growing conditions. This approach could help to sustain future yields under increasingly difficult production environments, by making farming systems more resilient to environmental stress. Another strategy to increase diversification explored by Dr Gaudin and her team is the impact of reintegrating livestock into cropland. Dr Gaudin investigates how land-based livestock integration and manure amendments impact resilience and sustainability of dairy forage and viticulture cropping systems – both huge industries in California. Traditional agricultural systems commonly combined livestock production with crop rotations. However, modern industrial agriculture methods that incentivise specialisation and economies of scale have moved towards decoupling crop and livestock production, resulting in concerns over water quality, agriculture’s high carbon footprint and poor soil health. Could re-integrating crop and livestock systems at the field and farm level help reduce inputs while increasing yields? What are the main barriers to adoption? This question is posed by Dr Gaudin in a recent publication, highlighting many knowledge gaps associated with both social and ecological aspects of integrated crop and livestock systems. She and others advocate for transdisciplinary and collaborative research efforts to address these gaps and inform effective reintegration. 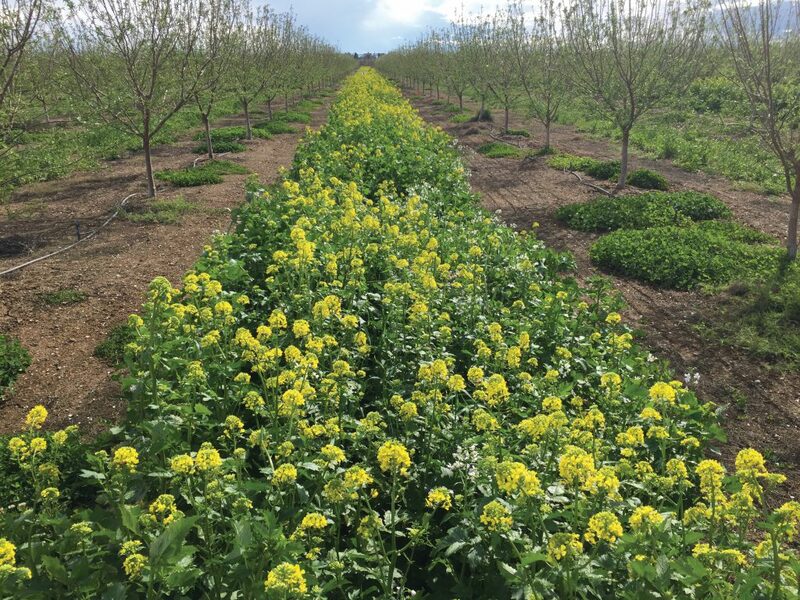 California, which has extremely diverse cropping systems, provides promising opportunities for this reintegration. 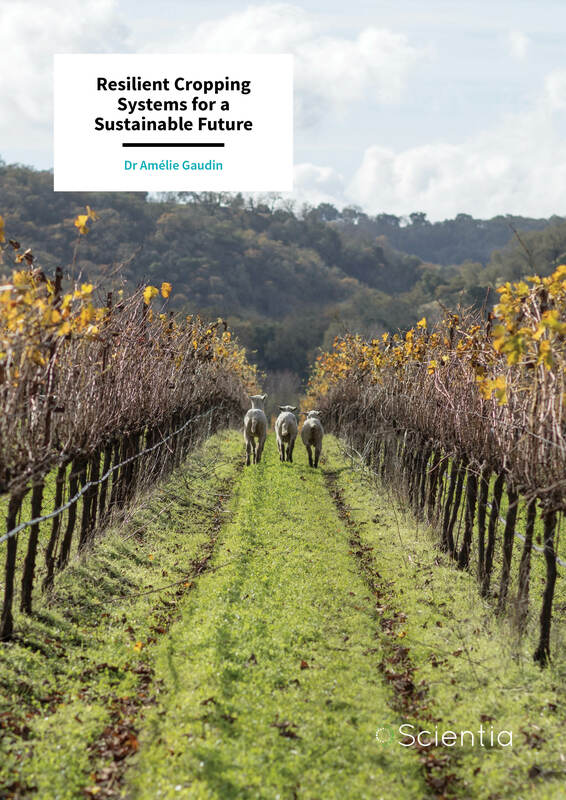 Dr Gaudin’s own research investigates the impacts of sheep grazing on soil health and the sustainability of annuals and vineyard production systems in California. Dr Gaudin and her research partners also seek to understand changes in the long-term stability and resilience of primary production of soybean with greater cattle livestock integration in Brazil. The Gaudin lab also explores strategies that build resilience to pests. The team recently discovered that soil and rhizosphere microbes are instrumental to building up plant defences against herbivores, especially insects, which can carry major viruses. For instance, tomato crops in California are vulnerable to the beet leafhopper, which carries a damaging virus that negatively impacts crop yields. Dr Gaudin and her collaborators aim to understand the potential of organic soil management practices to decrease infestation of leafhoppers. Intriguingly, the microbes at the plant root surface (the rhizosphere) play an instrumental role in this process. Their research has revealed that soil-health building management practices, such as compost and cover crops, affect tomato attractiveness to beet leafhoppers and can therefore potentially reduce virus incidence. Understanding these mechanisms better, especially in the rhizosphere, can help us use this knowledge to breed for below-ground characteristics that improve soil health and plant resilience to multiple stresses. 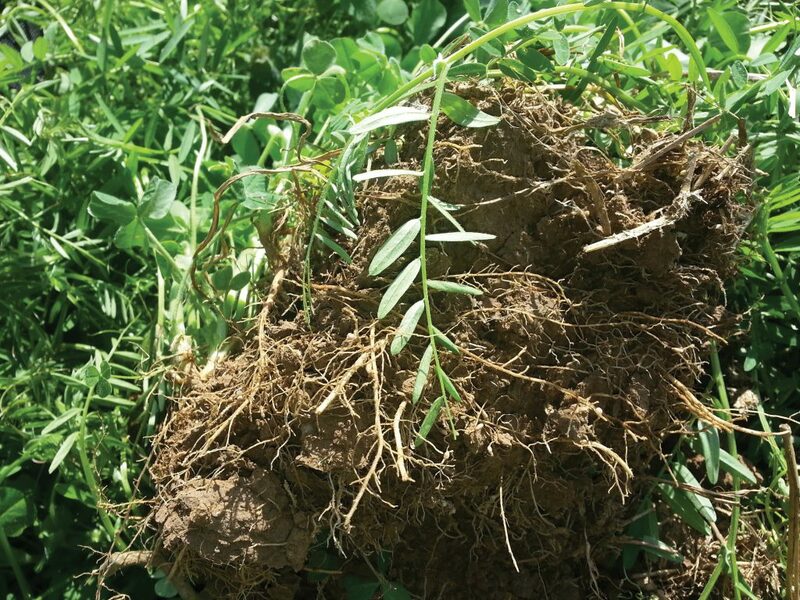 Roots and rhizosphere processes are vital for plant fitness and productivity and are key for helping to harness improvements in soil health. Plants have been bred for their high yield above-ground characteristics, but Dr Gaudin argues that this may have been at the expense of benefits to the root systems and the plants’ ability to team up with soil microbes. Characteristics such as efficient foraging and uptake, which are beneficial in lower input environments, may have been lost. 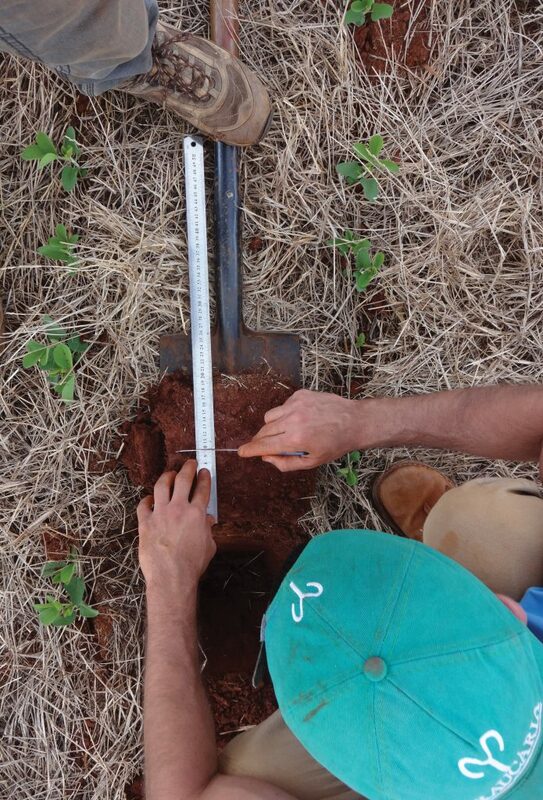 Understanding how human selection has affected root traits and rhizosphere interactions can help inform breeding and management practices that promote natural resource acquisition. In 2016, Dr Gaudin was awarded a New Innovator in Food and Agricultural Research to address critical gaps in understanding how to optimise root systems that can better exploit improvements in soil health. By analysing a wealth of data from maize crops bred over 10,000 years, Dr Gaudin’s team is looking at how breeding has affected root characteristics, their associated microbes and their functional significance for resource cycling and acquisition when suboptimal. ‘By testing how breeding has impacted corn and tomato root and rhizosphere processes critical to cycle and uptake resources, we hope to shed light on how breeders and producers can grow more productive and resilient crops and promote adoption of more sustainable practices at a large scale,’ says Dr Gaudin. Through their research and outreach activities, Dr Gaudin and her team are forging the way ahead for understanding ecological processes and applying these concepts to the management of farming systems. This comprehensive approach that builds sustainability promises to help develop more efficient and resilient cropping systems for the future. Dr Amélie Gaudin completed her PhD in plant agriculture at the University of Guelph in 2011. Upon graduating, she worked as a postdoctoral researcher at the International Rice Research Institute and then the University of Guelph, before joining the faculty at the University of California, Davis (UC Davis) in 2015. She is currently Assistant Professor in the Department of Plant Sciences, where her team specialises in agroecology. Her research seeks to develop management strategies that emphasise soil health and biodiversity as a basis for improvement. 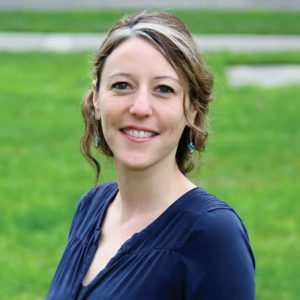 Outreach activities and close collaboration with stakeholders ensures that her research is relevant to the sustainability of California’s agriculture. JE Schmidt, C Peterson, D Wang, K Scow, ACM Gaudin, Agroecosystem tradeoffs associated with conversion to subsurface drip irrigation in organic systems, Agricultural Water Management, 2018, 202, 1–8. CA Peterson, VT Eviner, ACM Gaudin, Ways forward for resilience research in agroecosystems, Agricultural Systems, 2018, 162, 19–27. JE Schmidt, ACM Gaudin, Toward an Integrated Root Ideotype for Irrigated Systems, Trends in Plant Science, 2017, 22, 433–443. JE Schmidt, TM Bowles, ACM Gaudin, Using Ancient Traits to Convert Soil Health into Crop Yield: Impact of Selection on Maize Root and Rhizosphere Function, Frontiers in Plant Science, 2016, 7, 373. ACM Gaudin, T Tolhurst, A Ker, RC Martin, W Deen, Increasing crop diversity mitigates weather variations and improves yield stability, PLoS ONE, 2015, 10, e0113261.